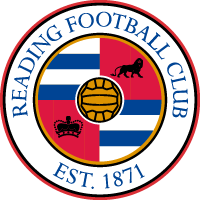 Reading beaten 3-0 by the Gunners, despite impressive display. 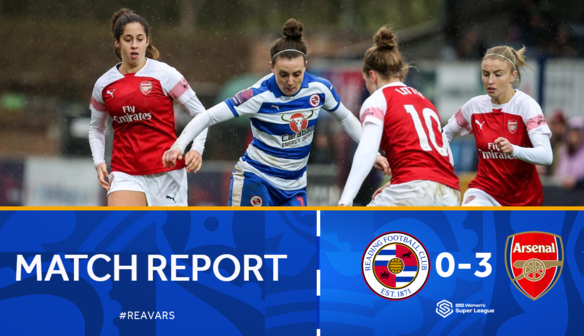 Goals from Vivianne Miedema, Kim Little and Katie McCabe inflicted a third-straight defeat for Reading, who would have felt their performance warranted much more than a 3-0 loss. It was inside the second minute when Miedema notched the opening goal. Katrine Veje crossed from the left and it was Miedema who found space inside the penalty area before her shot deflected into the corner of Grace Moloney's goal. Many inside Adams Park would have been getting horrible flashbacks of the 6-0 defeat in the reverse fixture back in October, but Reading made sure that wouldn't be repeated. Possession was dominated from then on by the hosts as they looked for a way back into the game. Jo Potter and Molly Bartrip looking to start attacks from deep and the distribution throughout the team looked both impressive and very controlled. However, Arsenal's excellent defensive shape was making things very difficult for the Royals going forward. Moloney was called into action on the 27th minute as a deep cross was met by the head of Miedema, but the Irish shot-stopper got down really well to deny her from point blank range, before getting up to make a second save soon after. Just before the break, Reading carved a decent opportunity of their own as Remi Allen was teed up nicely by Brooke Chaplen, but the former fired wide of the mark from the edge of the area. Into the second half and the Royals still looked very convincing both in and out of possession. Plenty of aggressive pressure on Arsenal to win the ball back and then keeping it for sustained periods. 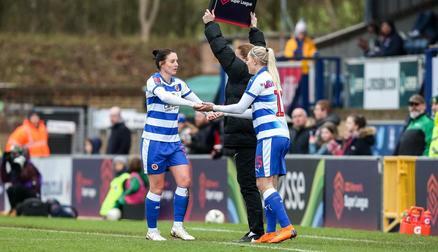 Fara Williams tried an audacious lob from the left touchline, but goalkeeper Pauline Peyraud-Magnin managed to tip the shot onto the crossbar. Arsenal doubled their advantage 10 minutes from time as Little converted from the spot after Jade Moore tripped Danielle Van De Donk inside the area. The win was made sure of in stoppage time when McCabe hit a rasping shot which flew past Moloney from distance. "The first goal has put us on the back foot. We can't be conceding that early on. It's not good enough from us. But, for the majority of the game we've been well in it; at times on top. We need to make sure we use this as a base now for the rest of the season and make sure the performances turn into results." "It's frustrating because we know we could have got a result out of that game. We now need to look onto the next game. The first goal killed us. I think from then on, for the rest of the first half we were competing. We had comfortable possession."